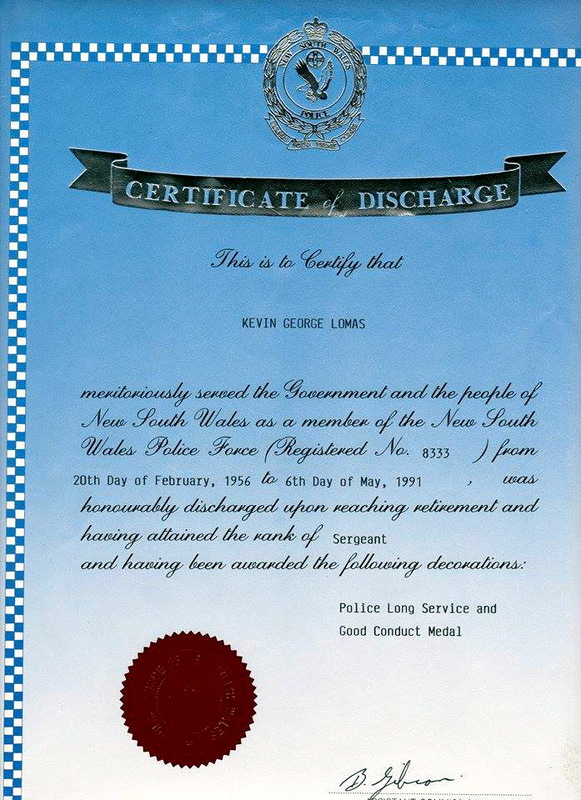 Retired senior sergeant Kevin ‘Lofty’ George Lomas. The relatives and friends of Kevin are informed that his funeral will be held on Wednesday, 25 July 2012. Prayers in St Mary’s Catholic Church, Batlow will commence at 12 noon, followed by a private interment. Sergeant Kevin Lomas, officer in charge of Wilsons Valley police station, checks a car buried in snow at the roadside between Wilsons Valley and Smiggin Holes. He is holding the aerial. 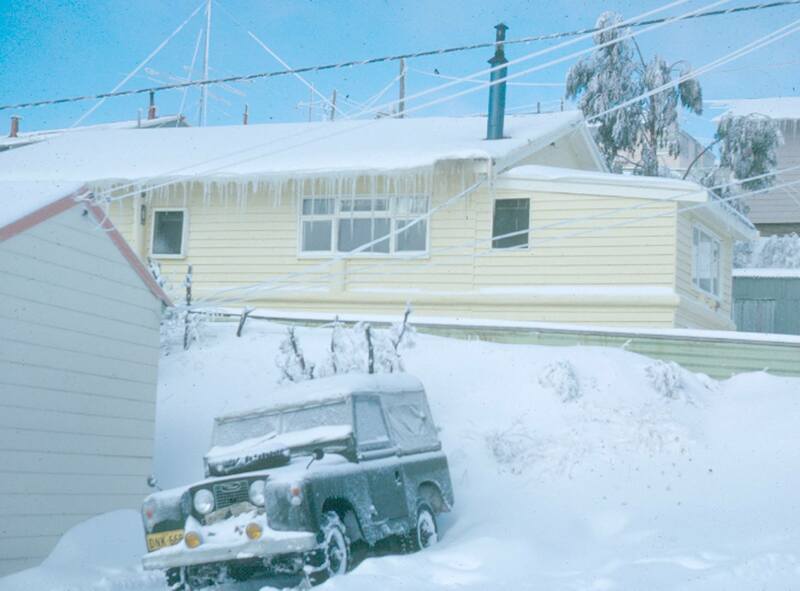 Snow and ice build up on the new Perisher Valley Hotel yesterday. The hotel, which opens today, has accommodation for 50 guests, ranging up to a penthouse costing $200 a person a day. Two Australian Federal Police recruit classes graduated yesterday at the Weston Police Training College, including two constables whose fathers are well-known policemen in the district. The 41 graduates took to the parade square at 8.45am to music provided by the Band of the Royal Military College, Duntroon. They were reviewed by the Deputy Commissioner, Mr John Johnson, who told the graduates their parade performance was the best he had seen. Thirty-six of the new officers will be posted to general duties in the ACT, beginning on Monday. The others will take up postings throughout Australia. One of the graduates was Constable John Dillon, 20, son of Superintendent Ron Dillon, who has been an officer with the AFP and former ACT Police since 1961. 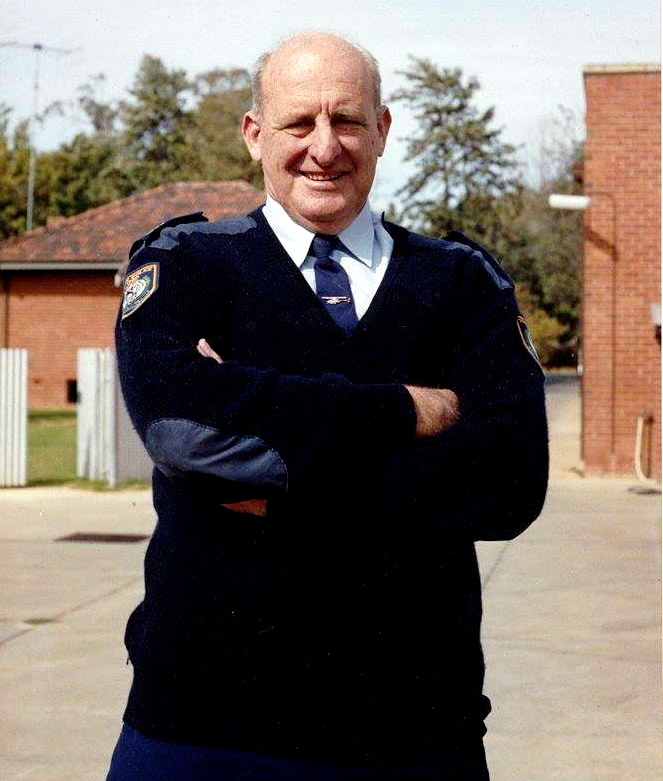 Superintendent Dillon became well known for his TV presentations of ‘Police Seven’ and the police column in The Canberra Times. He is now the officer-in-charge of the AFP’s special branch. Constable Dillon said he could hardly wait to begin work on Monday, but was a bit nervous about it. He ultimately wished to move into detective work, perhaps following his father’s footsteps by working in the special branch. He would like to do a number of years in general policing first. Another proud father was Sergeant Kevin Lomas, of the NSW Police, who has been stationed at Queanbeyan for the past two years. His daughter Leanne, 19, was one of the graduates yesterday. Another daughter, Glenda, 20, is training at the college and expects to graduate in June. Sergeant Lomas said it was a proud day for him. He was pleased that both daughters had chosen a police career. He has two other children still at school, “one of whom is thinking about joining the Air Force, but I wouldn’t be surprised if all of them joined the police”, he said. Constable Leanne Lomas said she had been posted to the city station. She hoped to be posted to Darwin later this year. The dux of recruit training course 2/82 was Constable Tim Dahlstrom and the runner-up for the most improved was Constable Craig Henry. From the song ‘Cooma Cavaliers’ by Ulick O’Boyle and The Settlers. If there was one theme which bound the lives of all Snowy workers, it was alcohol. It was the elixir for camaraderie and the balm for fear, boredom, homesickness and loneliness. The wet canteens in the mountains and hotels and nightclubs in Cooma were eventually open twenty-four hours a day to cater for men working the different shifts. Violence and trouble could occur at any hour. Managing the aftermath of long drinking sessions fell on the shoulders of the handful of policemen scattered through the mountains and on the Authority’s patrol officers. The odds against them were sometimes frightening. More than one policeman was transferred out a broken man. The lot of a Snowy law enforcer, often working alone among populations of hard-drinking, hard living men, many of whom believed the law was an irrelevance in the mountain frontier, was never easy. Those who did survive in the tough, knock-about world of the construction camps and towns and who earned their stripes in the Snowy hall of fame were men like Fred ‘Careless Hands’ Chapman, detective Bill ‘Homocide’ Holmes, Brian Shultz, Bill ‘Chubby’ Keefe, Harold Etheridge, Kevin ‘Lofty’ Lomas, detective Bob Blissett, Bill Graham, Lionel Whitney, Bill Head, Bruce ‘Bags’ Durrant, Rod Murray, Bev Wales and ‘The Admiral’, Ron Davey. 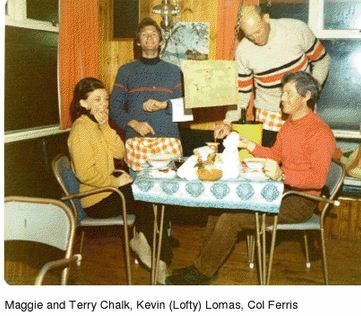 All could handle themselves — Careless Hands and Ron Davey had both been champion wrestlers — and all were colourful characters who fitted into the unconventional way of life in the mountains. Many were regarded as the central characters in the communities over which they presided. They were men who lived by their wits, rather than the rule book. The mix of nationalities, the language problem and many of the migrant workers’ backgrounds created unique circumstances that sometimes required a swift belt behind the ear and, at other times, sensitivity. Frank Rodwell, a long-serving patrol officer with the Authority often found peace could be restored after a bloody brawl simply by lending a sympathetic shoulder: “I learned quickly that some of these fellows had gone through hell and were living on a razor edge. One time I was called to a fight caused by a Polish fellow who was drunk. As I dragged him away he started screaming, ‘they’re all dead … all dead’. His whole family had been killed in the war and he missed them terribly. “I had another similar experience with a Yugoslav who had opened a mass grave with his bare hands to try to find his mother … who wouldn’t drink and go a bit crazy after something like that? At Sue City, the workers took great delight in the antics of their local policeman, Ron Davey and his cherished boxer dog … whose name was Boxer. In the late afternoon just when Ron would be about to taste his first cold beer at the end of a long, arduous day, the valley would echo with the Boxer’s plaintive wail. To the delight of the regular drinkers, who had come to know the ritual, Ron would storm from the wet canteen, grab a spade and start to climb the steep valley slopes, following the direction of the wailing. Somewhere up on the mountain, as everybody had come to know, Boxer had tried to chase another wombat into its hole. The dog would always get stuck about a metre inside and then tell the whole world of its predicament. On locating the animal, Ron would dig it out, slap it furiously across its rump with his trouser belt, then drag it unceremoniously by the collar back to his house where he tied it up. After three or four days Ron started to feel sorry for the animal, “his mate”, moping on the end of its leash. In a flood of affection would let it off for a run. As sure as Monday followed Sunday, on the day the dog was free again Ron would be about to enjoy his first cold ale when the valley would once again echo … Whoooooooooo. Of all the men who policed the construction camps, only one man, however, became universally regarded as a legend in his own time … Constable Bev Wales. Bev Wales was renowned as being totally and utterly fearless. In 1955, after three years in Cooma, Bev began nurturing the idea of taking over a one-man station up in the mountains. He was about to marry the daughter of one of the Cooma sergeants and didn’t want to stay too close to home. 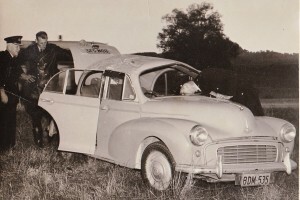 Also, while conceding he had learned more about real police work in a month at Cooma than he would have in five years in Sydney, Cooma too was starting to become routine … paper work and more paperwork and always to do with the same things — brawls and road accidents. “The locals and the ‘wogs’ as they were called were still feeling each other out. The local lads were toey. They didn’t like the young foreigners coming down from the mountains with all their money. The migrant fellows didn’t want trouble but they were only prepared to take so much. So there were hundreds of brawls and if a non-Australian was involved, it meant double the paperwork. Bev wanted a beat where he took on all work. 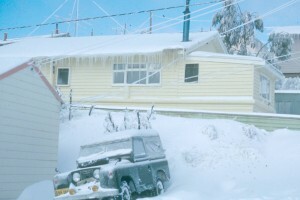 In December 1955 he sought and was happily granted, the job as replacement constable at Happy Jacks which had the reputation as the roughest camp on the Snowy. The workers there had grown accustomed to being a law unto themselves and had virtually driven out the previous constable. Bev put a lot of thought into how he would approach his new assignment, his first lone command. From the start he decided he would not wear a uniform as his predecessor had done. He also realised he had to earn the men’s respect using the only language they understood. It was a question of his own survival. 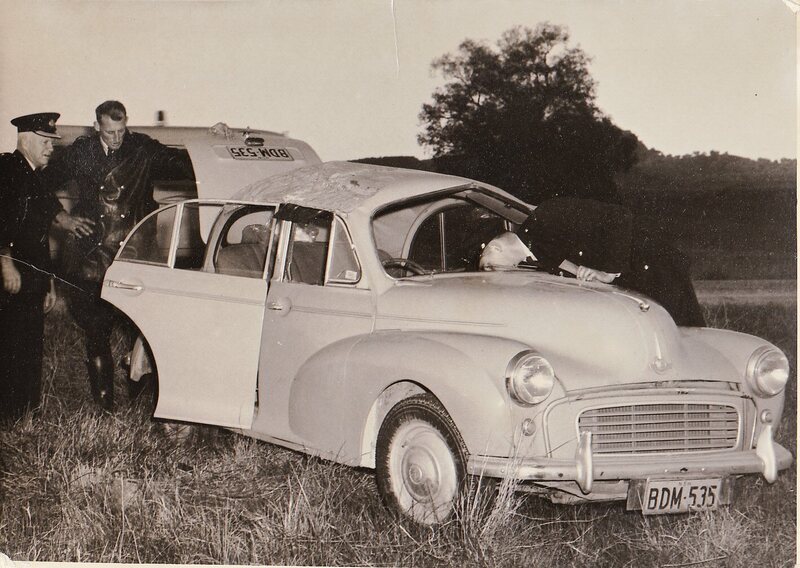 On the drive from Cooma to take up his new position he stopped at the wet canteen at Junction Shaft, which was on his new beat and was where a lot of the Happy Jacks’ workers drank. There were a dozen or so fellows drinking. Bev stood, framed in the doorway, until he had their attention: “My name’s Bev Wales. I’m the new constable,” he said simply. For a moment the men looked as though they hadn’t heard him clearly, then responded with a chorus of whistling and cat-calls. The wolf whistles and jeers got even louder and four solidly built Australians slid off their stools. It wasn’t every day a copper actually asked to be punched. They approached the young constable, leering, savouring the moment. They paused just beyond an arm’s length, then moved in swinging. Every account of the incident is the same. Bev Wales used four, maybe five punches to lay the four men out on the floor. He bundled them into the back of his Landrover and continued on to Happy Jacks to lock them up for the night. “They got a bit of a surprise,” Bev said later. Everybody did. Within hours the incident was being recountered throughout the surrounding camps. Happy Jacks had won a package deal, a new constable and prisoners in the one delivery. By the end of his first month Bev Wales had locked up forty men, most of whom spent several nights in a cell nursing bruised jaws and foreheads. “Over the years they had gone berserk. There was no law and order whatsoever. Living up in the mountains they thought they were beyond the law. The lawlessness had to stop and I was the one sent to do it,” Bev said. He rarely worked less than sixteen hours a day. 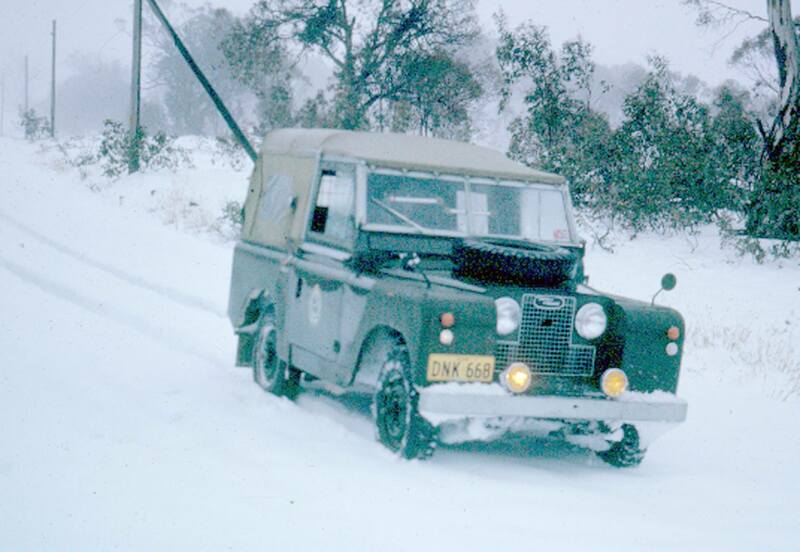 His patrol ranged from Eucumbene Portal near Adaminaby (the entrance to the Eucumbene – Tumut tunnel), to Tolbar Camp, up to Happy Jacks, Cabramurra, Kiandra, Kenny’s Knob, Tumut Pond, Tooma camp and all areas in between. He was a lone policeman among six thousand workers and the only link between most of the camps on his beat were rough bulldozer tracks. Bev Wales backed away from no situation, even when he was out-numbered. When brawling men were told Bev was on the way, his reputation preceded him like a bow wave, often quelling disturbance before he arrived. 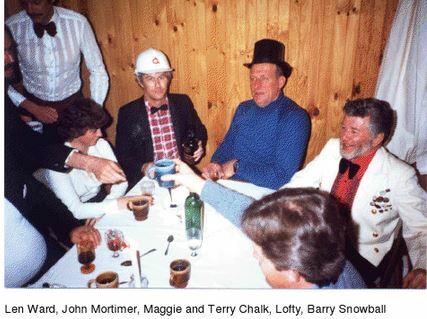 Bev spent sixteen years in the mountains while the Snowy was under construction. He survived through a mixture of police field-craft and bush psychology shaped by the instincts of a boy from the bush. What most endeared Bev Wales to law abider and offender alike was that it became apparant at an early stage that he cared for people. He often preferred to allow bush justice to be dealt, rather than invoke officialdom by which a man might lose his job. “The fellows were afraid of losing their jobs so I’d say okay. We’d pair up in the lockup, exchange a few blows till I gave him a good thump and it was over. It was summary justice, something you couldn’t do today but it kept the peace there. But Bev Wales didn’t spend all his time thumping recalcitrant construction workers. The biggest workload for all policemen in the mountains arose from the horrific death toll, both on the roads and at the construction sites. “At Khancoban alone I handled ninety inquests and no death was clean. Men were cut in half, decapitated, blown to pieces, or squashed by huge boulders. WE’RE hearing plenty of tales about silent cops, the metal domes which sat at intersections acting like a roundabout. Kevin says there was one in Dean St, Albury, in the early 1960s. “There was a very tall policeman called `Lofty’ Lomas and he was lairising on his motorbike in front of some girls when his bike clipped the silent cop. And Jeannette says she grew up in Sydney suburb where there were many silent cops. “My mother, a highly articulate and well-spoken lady, refused to use any language or vocabulary that sounded remotely like slang and she expected the same standard of her children. Lofty attending a vehicle rollover. Lofty also donated many photos to the Cabramurra community and they are on display outside the shop.